1. A sleek stainless steel bottle that's so good at keeping your drink the right temperature, Sean Paul should sing about it. It can keep liquids hot for eight hours and cold for 24 (!!!) hours. That's a whole day, people! Get it from BuzzFeed's Goodful line, exclusively at Macy's for $21.99 (available in four colors). 2. Amazing, all-natural bottle cleaning tablets that'll make your least-favorite-yet-most-necessary-chore — cleaning your trusty water bottle — as easy as drop, fizz, wait. 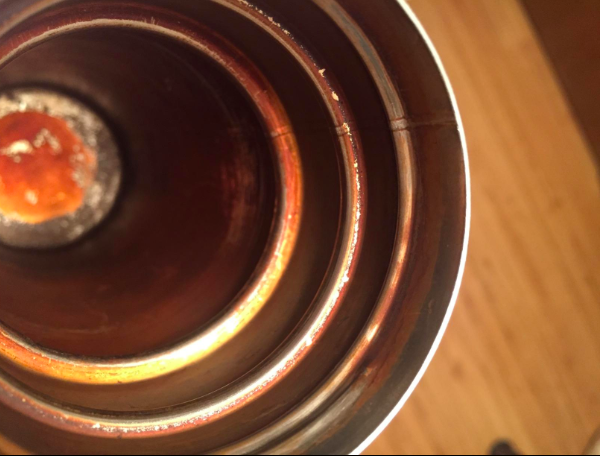 Fill your bottle with water, pop in one of these fizzing tablets, wait 15-30 minutes, then rinse it out — the tablet will have completely dissolved, along with all the gunk and odors in your bottle. 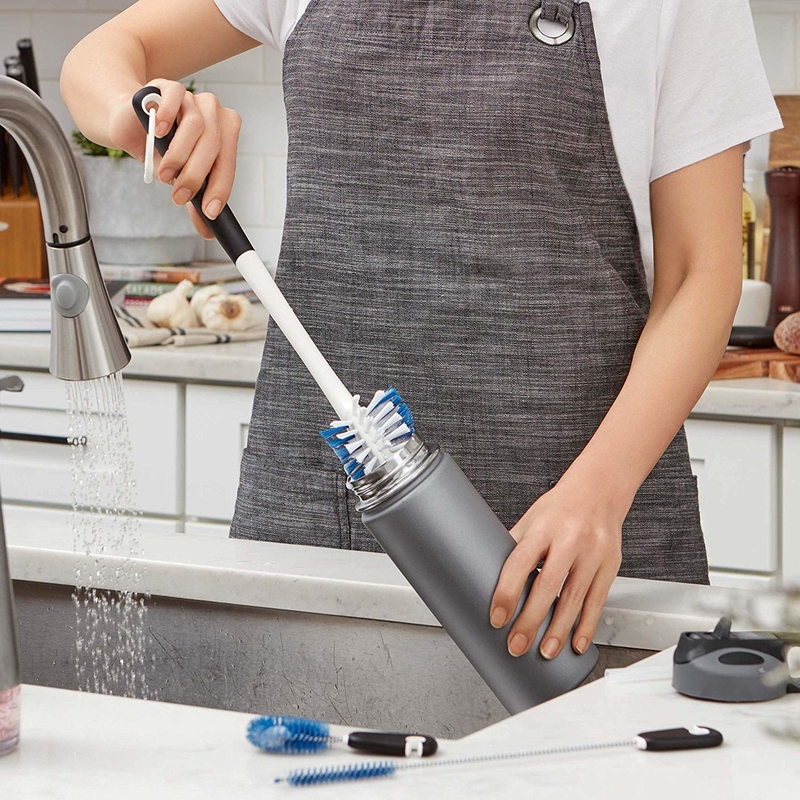 These would totally solve the problem that I always have with my go-everywhere bottle — I always use too much dish soap and end up failing to rinse it out enough, leaving my bottle with an icky, soapy taste. I need these! Check out more products that'll give you amazing before and after photos. 3. 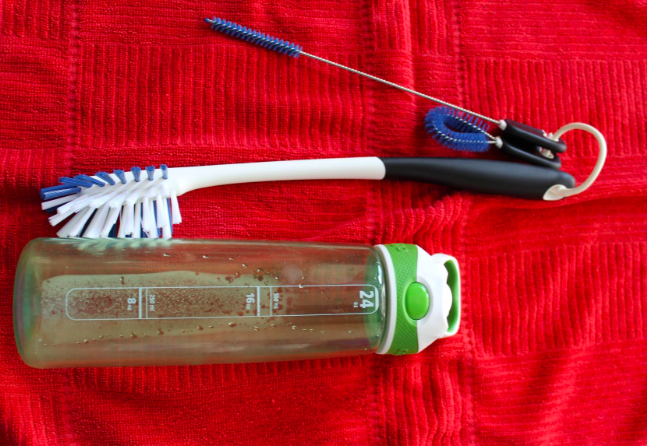 And a handy bottle brush set you can use along with the above tablets or with good old fashioned soap and water to give your bottle the cleaning it deserves. The set includes a big bottle brush, a straw brush, and a round detail brush that's great for mouthpieces. Get a set of three from Amazon for $9.99. 4. A set of beautiful coasters that are extra absorbent, so they'll keep the ~coast~ clear — your mom never has to know you had your ice cold tumbler anywhere near her mahogany table. Get a set of six from Amazon for $14.99 (available in two designs). 5. 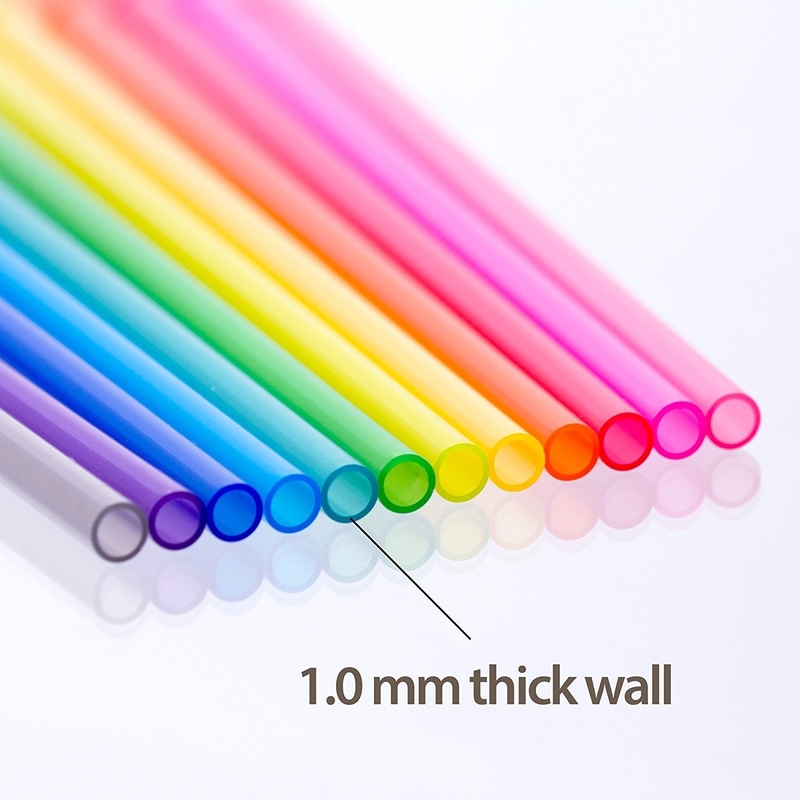 A rainbow of unbreakable, reusable plastic straws that are sip-ly the best for any kind of drinkware. They may be sturdy, but they can be easily cut to fit any size bottle, cup, or tumbler. Check out BuzzFeed's full write-up on these straws. Get a pack of 12 plus a cleaning brush from Amazon for $8.99+ (available in three colors and prints). 6. A dishwasher-safe, BPA-free infusion pitcher for when you want to add a little zest (possibly literally) to your go-to H2O. It's also good for using at parties with your friends who think water is boring. That'll show them!!! The pitcher is also shakeable to make mixing a breeze. 7. 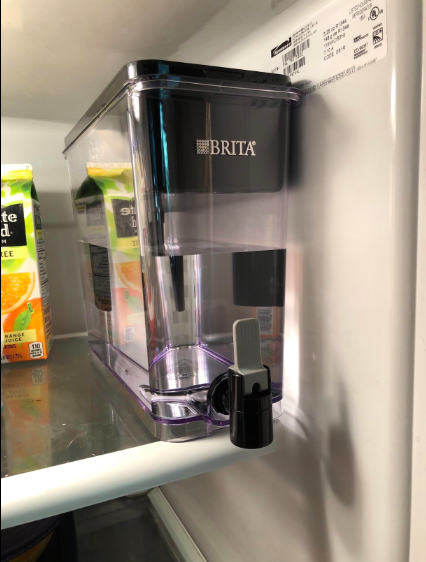 A sleek filtered water dispenser that (*extremely Stefon voice*) has got everything: a shape that easily fits into your fridge, enough room to hold up to 18 glasses of water, a filter that removes up to 99% of lead plus other ickiness and only needs to be replaced every six months, and an indicator light to let you know when to replace it. 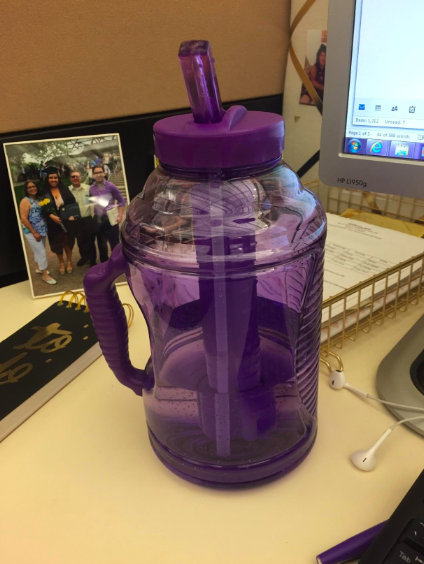 It's BPA-free, and one filter can be used for enough water to replace about 900 standard-size plastic water bottles! Promising review: "I'm so glad I finally got this! I love that this product easily fits into my fridge. 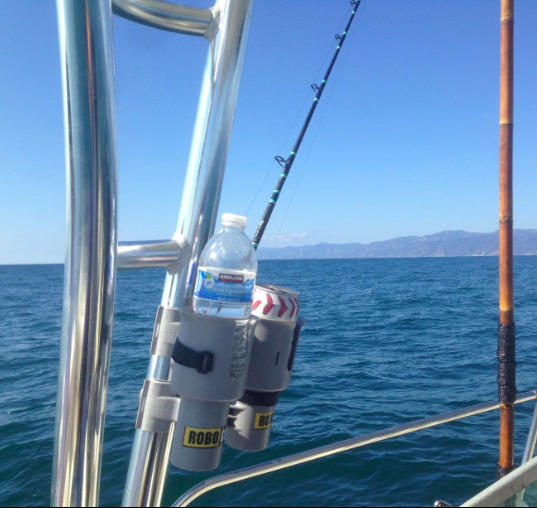 It’s extremely easy to use and the filter age feature is wonderful!" —Patrice F.
Get it from Amazon for $39.84. 8. A cheeky enamel pin for anyone who is always thirsty — for both water and...other things. Which makes me thirstier: a salty bag of chips or pics of Michael B. Jordan? It's an impossible question, really. Get it from kalgado on Etsy for $10. 9. 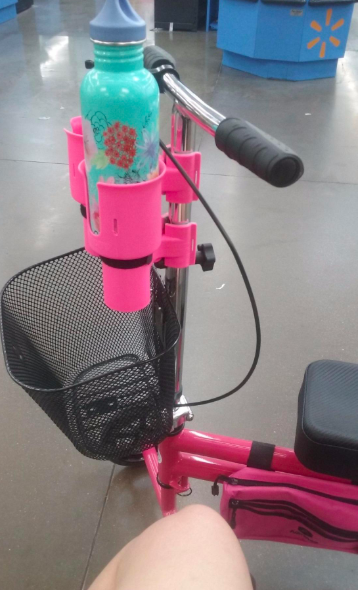 A genius clip-on cupholder that can be used on wheelchairs, strollers, golf carts, beach umbrellas, boats, exercise equipment, or pretty much anything clamp-able. Because if you're anything like me, if your water bottle is more than a foot away from you at any time you become very, very stressed. Get it from Amazon for $24.95 (available in 15 colors). 10. 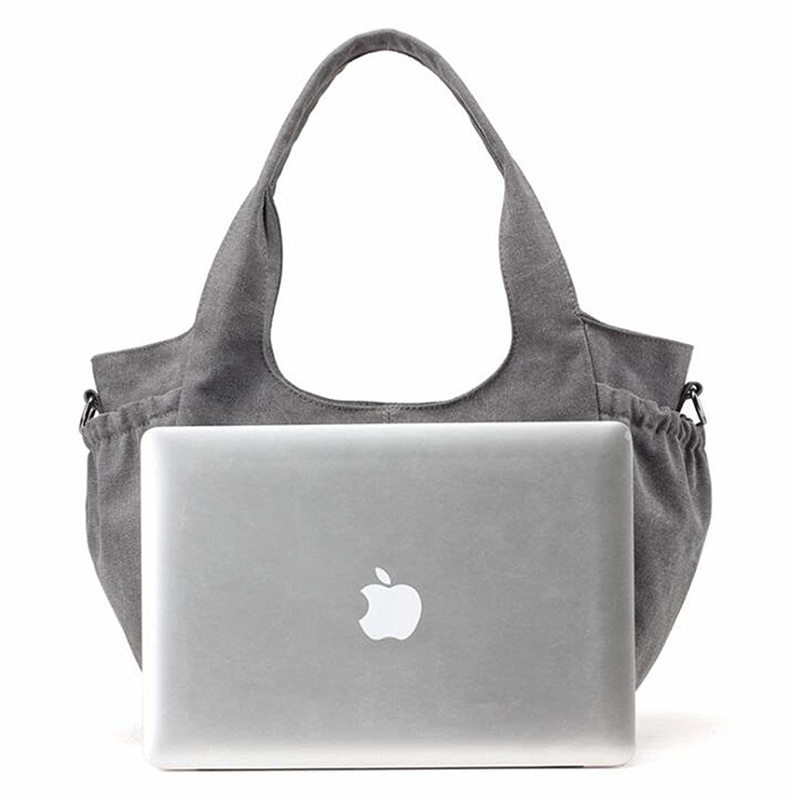 The perfect crossbody bag for travel, a concert, or any event where you need to to keep your hands free. 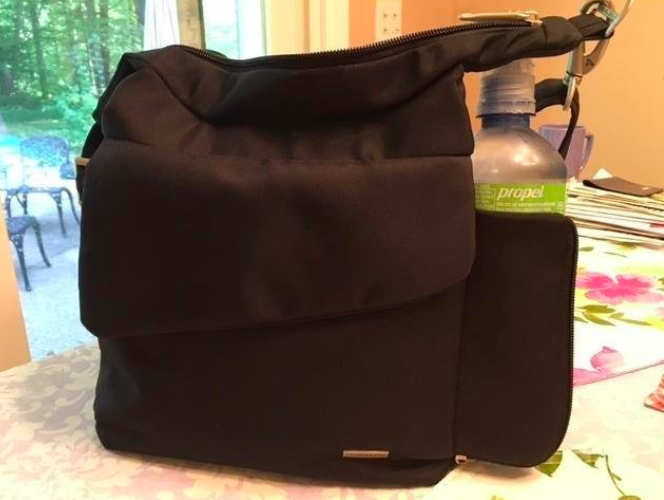 It's got multiple cool features, like a RFID-blocking card and passport section and cut-proof material to keep your belongings safe, but the most important part is definitely the TWO generous water bottle pockets. 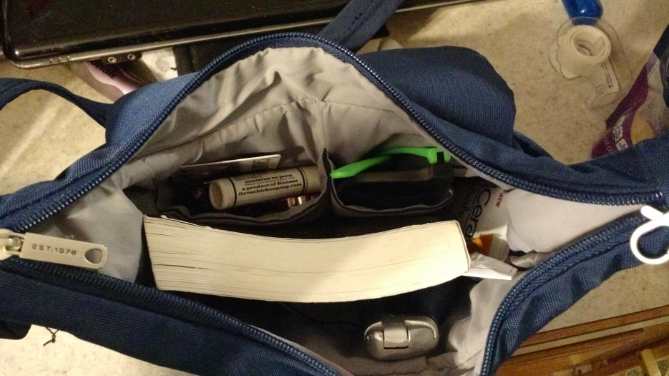 Raise your hand if your least favorite thing about carrying little crossbodies is not having room for your water bottle. SAME. It's like these bag designers WANT us to get dehydrated!!! Get it from Amazon for $34.15+ (available in 32 colors and prints). 11. 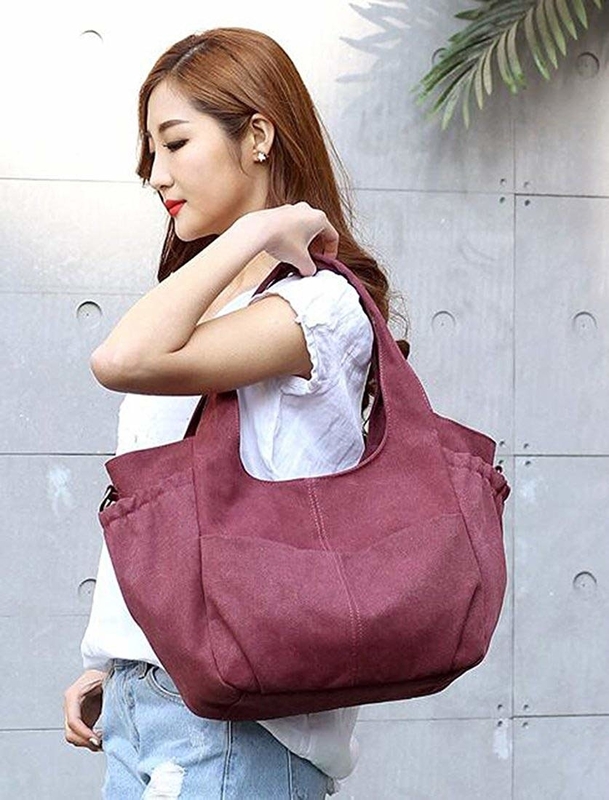 Or a stylish travel tote that just might be the ideal carry-on — it's got two water pockets because having lots of H2O on a long flight is the key to making any trip oh-so fly. You'll actually be able to keep calm with this carry-on! Get it from Amazon for $26.99 (available in four colors). 12. Pretty, vintage-y tumblers, because why should alcohol drinkers get to have all the fun with their glassware? 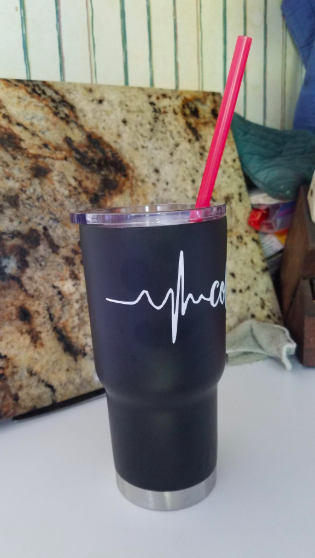 Water drinkers demand cute cups, too! Get one from Anthropologie for $10 (available in two colors). 13. A giant bottle with a built-in, removable ice pack that'll make standing up for refills or more ice a thing of the past, even for the thirstiest of folks. Hello, interruption-free work (or TV, lol) binges! 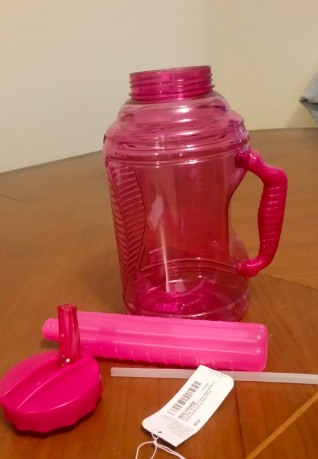 It's BPA-free and also comes with a straw! Get it from Amazon for $19.75+ (available in four colors). 14. A jumbo pack of 100 waterproof stickers — aka enough to decorate every reusable water bottle you own and ever will own in your entire life. Get it from Amazon for $6.99+ (available in eight combinations). 15. Or this adorable guinea pig sticker who you will REALLY relate to. Get it from annafama on Redbubble for $2.88. 16. The LifeStraw, an incredible portable filter that'll let you safely drink from even the ickiest-looking natural water sources. No wonder it's got over 6,000 positive reviews. 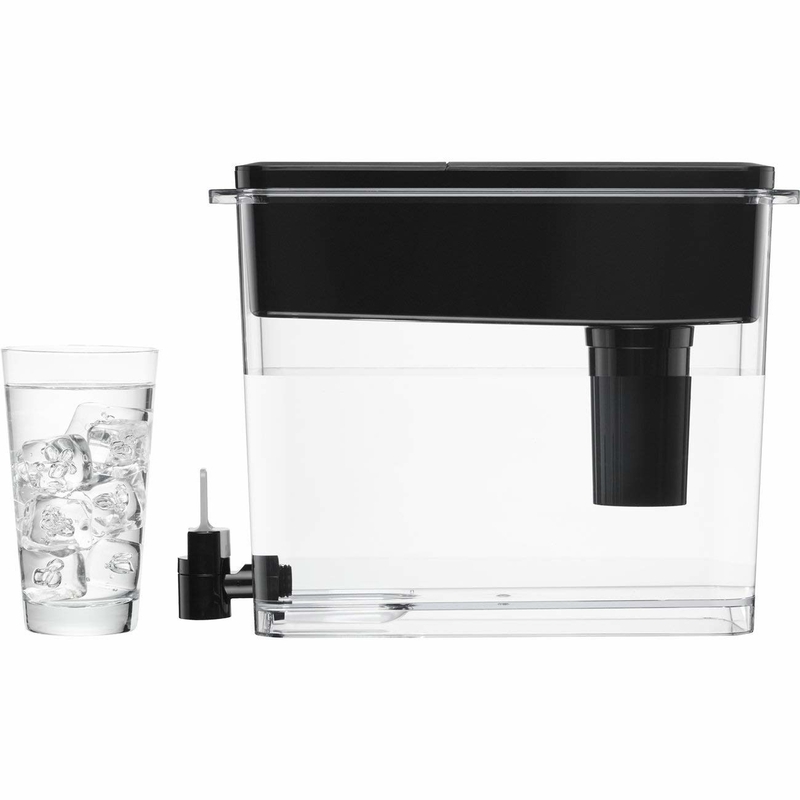 It claims to filter out 99.999999% of bacteria, and can be reused tons of times (for drinking up to 1,000 gallons!). 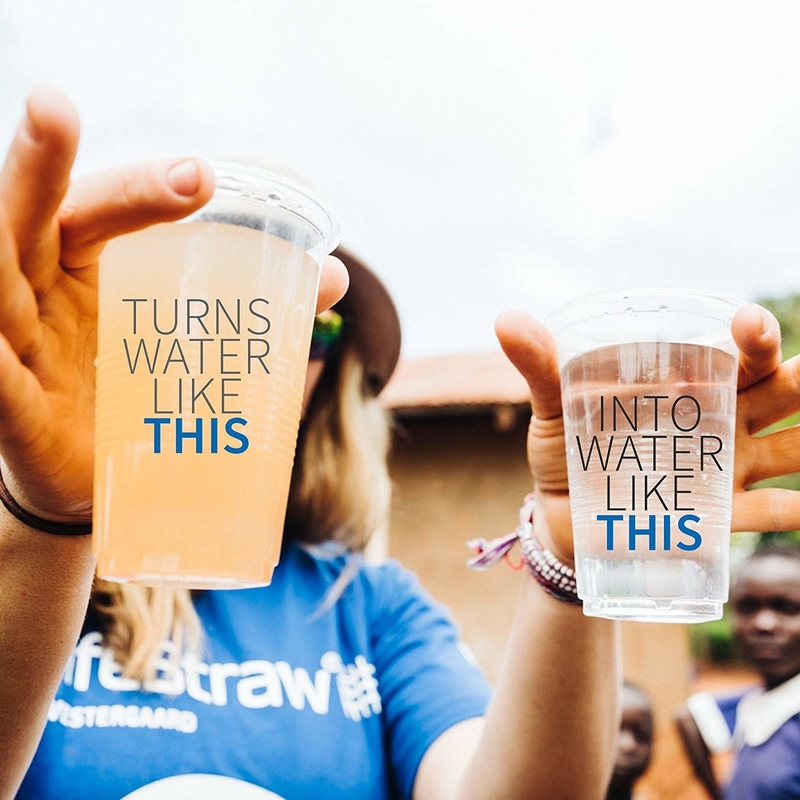 Plus, with each straw purchased, the company provides clean water to a child for a year. 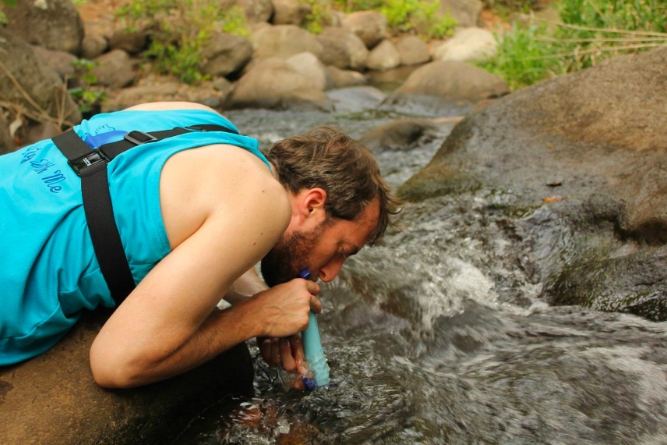 Check out BuzzFeed's full write-up on the LifeStraw. 17. A unicorn ice cube mold that proves water is ~magical~ in both its liquid and solid forms. The only thing better than a glass of ice water after a rich meal or a big workout? A glass of UNICORN ice water. Get it from Amazon for $6.99 (available in 10 shapes). 18. 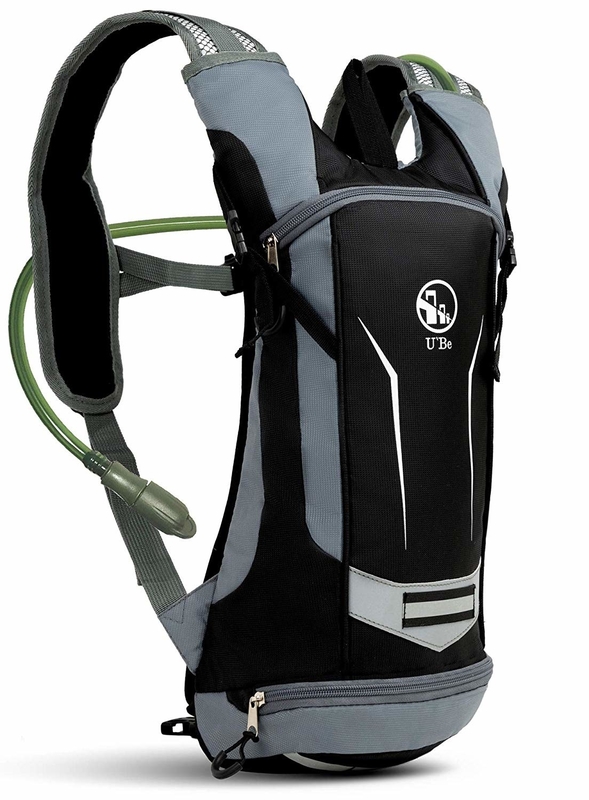 A super affordable, slim water backpack for staying hydrated on the go, because exercising without water at the ready and carrying a bottle around on a run or hike are both terrible options. 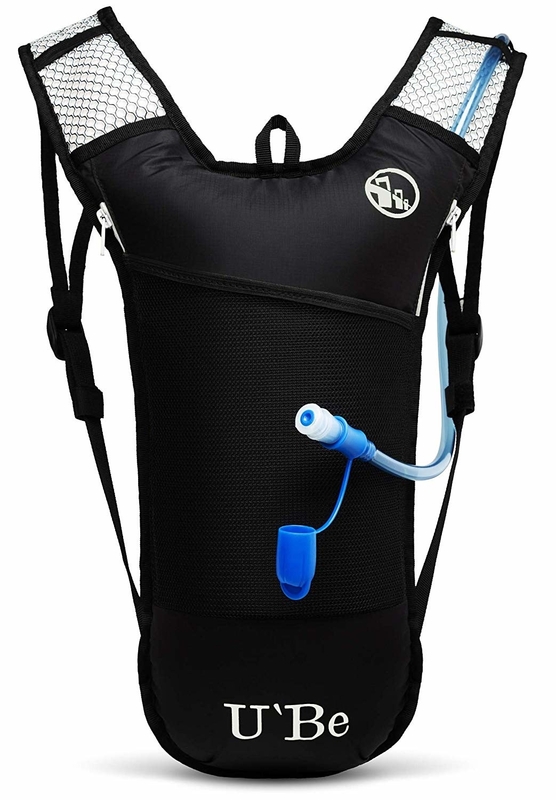 Get it from Amazon for $18.99+ (available in two styles: an extra slim one designed for runners and a slightly larger one with a waist strap for bikers). 19. An adorable sweatshirt to remind yourself and (because who are we kidding, you don't need a reminder) others the importance of eight glasses a day. Get it from Human for $29.99 (available in sizes XS-3X and in seven colors, design also available on a crewneck tee, V-neck tee, hoodie, baseball tee, tank, racerback tank, and baby onesie). 20. And finally, the GoGirl, a nifty little device that allows people with vaginas to easily pee standing up. Because the one consequence of drinking so much dang water? Having to go at very inconvenient times (read: all the time). Porta-potties? Overnight camping trips? Bring. It. On. 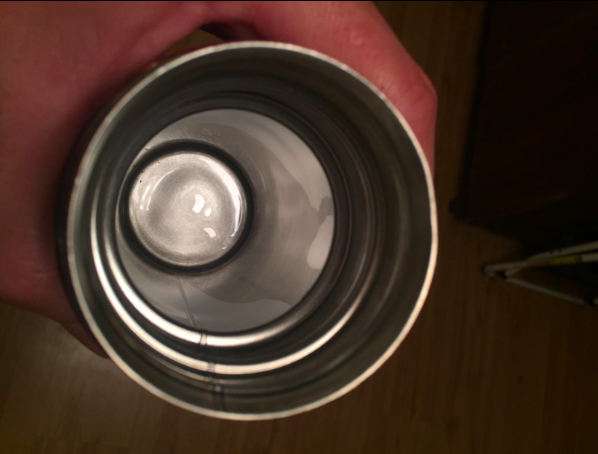 It comes with a storage tube that's easy to stash in your purse, plus a tissue for wiping and a plastic bag to keep it in after use. And it can be washed and reused! Check out BuzzFeed's full review here. If you're looking for more cool vessels for your drink of choice, check out 19 Amazing Water Bottles That People Actually Swear By and 15 Of The Best Water Bottles You Can Get On Amazon.